Health is everything. To enjoy life to its fullest you need to be healthy. A great way to stay healthy and have fun at the same time is to play sports and games that are good for you. I understand that as you grow up and get out of your teens, you start entering a more practical stage of life. It is hard to make time for sports and other activities due to your busy schedules and jobs. But of course, you can’t compromise on your health. So try and plan your weekends to play sports and games that are good for your health. The next big question that comes to mind is that what games you should play. So we have prepared a list of some sports and games that you should check out. Mental health is as important as physical health. Sudoku is an exciting and thought-provoking game that is also an excellent exercise for the mind. Sudoku is a number-placement puzzle which features a 9x9 grid which is made of nine 3x3 sub-grids. Some of the blocks in the grid are already filled. You have to fill the rest in such a way that each sub-grid contains the digits 1-9, without repeating a number in any 3x3 sub-grids, row or column. The puzzle can be found in newspapers, but you can also buy a puzzle book of Sudoku from any bookstore. You can even download an app on your phone and play the game digitally. Sudoku is a very entertaining game that is very good for your mental health. Swimming is a very effective workout that is good for the whole body. Swimming can help you lose weight, get toned and build up your cardio. Also in the summer, it can be very refreshing and it a fun activity to enjoy with the family. Many swimming games can be played on the water, but I think the most popular sport is Marco Polo. There are many other swimming games that can be played in the water. So if Marco Polo is not your thing then than try and find a game that suits you best. Tag is a very entertaining and fun game that also involves a lot of physical activity. All the running that is included in the game is perfect for your leg muscles and your cardiovascular health. Running is also a great way to improve digestion and stamina. Of course, the game is very simple, and almost everyone knows how to play it. One person in the group becomes the catcher, and everyone else tries to run from the catcher. The first person who gets tagged has to become the catcher. You can also play the game as teams, which is more fun. It this form of the game the teams take turns to be the catcher and the runner. Dodgeball is a game that almost everyone has played in their teens. It is a very entertaining and competitive game. The game is also good for your health as it involves a lot of physical activity. This gets your heart racing which is good for your cardiovascular health. The objective of dodgeball is to eliminate all opposing players. The easiest way to eliminate a player is to hit them with a ball. Players can also be eliminated by catching one of their throws. When a throw is caught not only is the opposing player eliminated but you also get to bring back one of your eliminated teammates. If none of your teammates is eliminated, you get an extra life. Riding a scooter, skateboard or bike is an enjoyable activity. This can be very thrilling, but it is also great for your health. Of course, due to the physical activity, it is good for your cardio but riding a scooter or bike also helps you improve your balance. It is a great way to enhance both physical and mental health. Of course, we don’t have to tell anyone how to ride a scooter or a bike. So go out on your bike with some friends and enjoy the ride. If you want to take your health to the next level, you can also ride in a cycling marathon. Check out the best electric scooters and skateboards here. This is another game that is good for your mental health. You can buy a scrabble board and pieces from any toy store. It is a fun game that is an excellent exercise for your memory, and it also improves your vocabulary. Of course these days there are also scrabble apps available on your phones. So you can download an app and play with people online if you don’t have someone else to play it with. 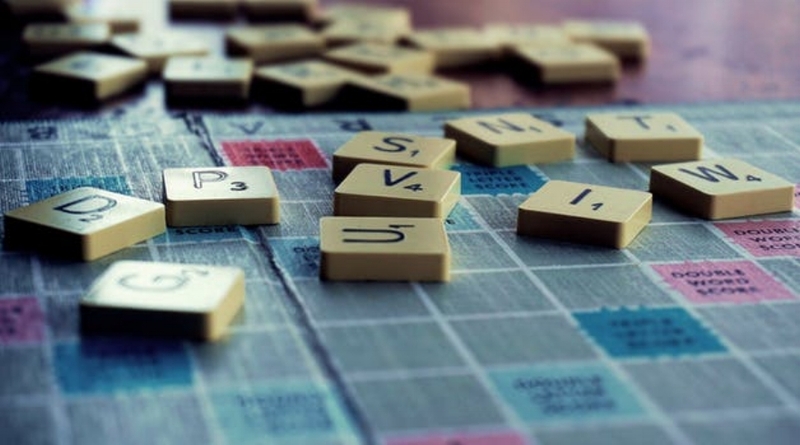 We had all played scrabble when we were young, but it is not just a game for kids and teenagers. Outdoor sports such as soccer, football, baseball, and basketball are a lot of fun, and they are good at maintaining your health. You should gather your friends and visit a local park or court to play some outdoor games. It is a great activity to get your friends together and improve your health at the same time. Doing these kinds of entertaining physical activities is very mentally relaxing, and it is a great way to get your mind off the busy schedule of the work week. Playing sports outside in the fresh air can also be very good for your mental health. So chose from the above mention sports or find one that you like the most to play and enjoy in your free time.